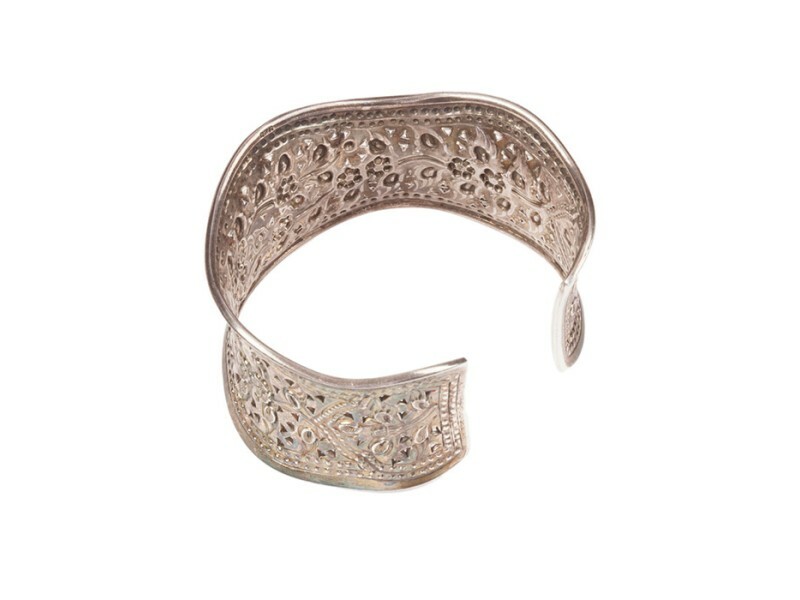 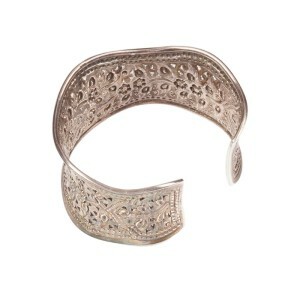 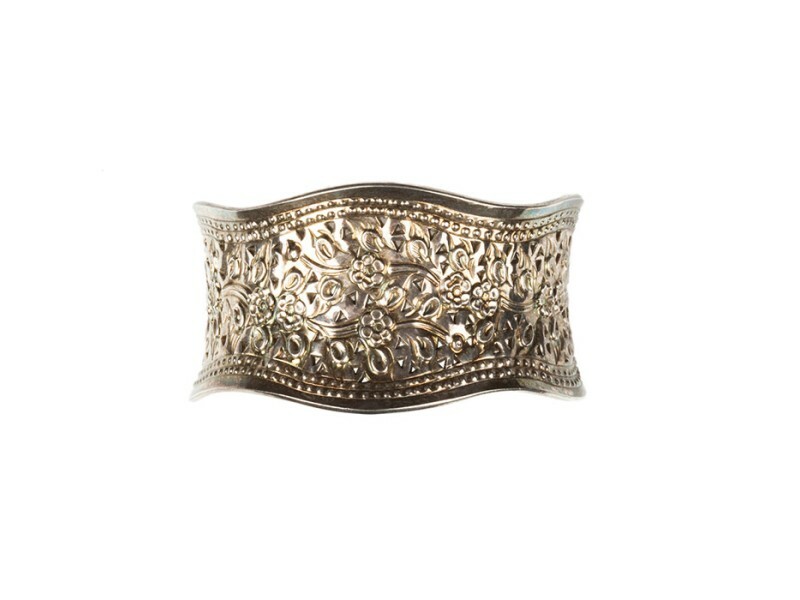 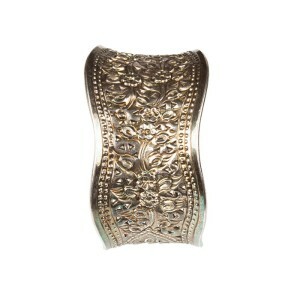 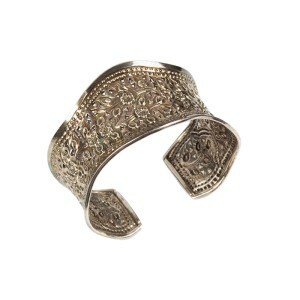 Gorgeous, intricate design and amazing craftsmanship in this cuff bracelet made in Nepal. 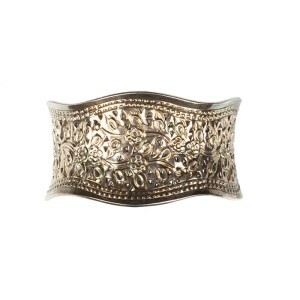 Cuff measures 1 ½” wide. 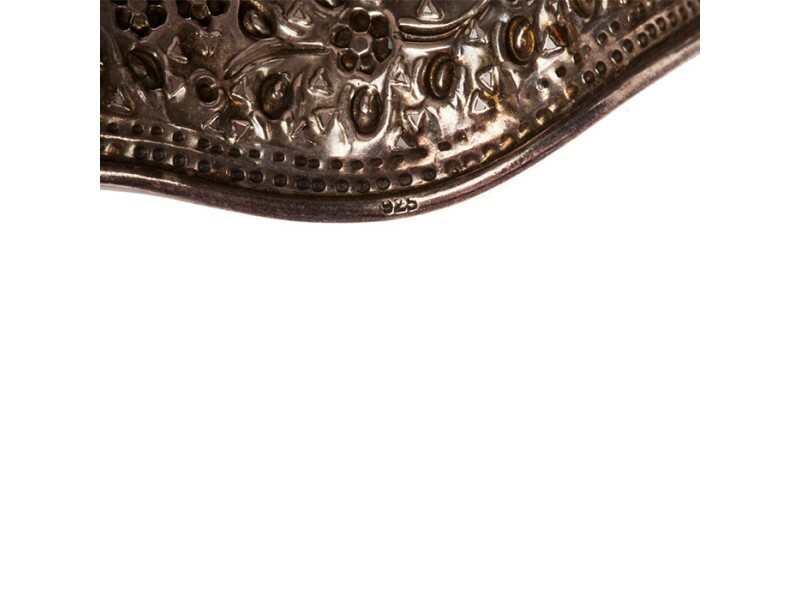 Back opening is 7/8” wide. 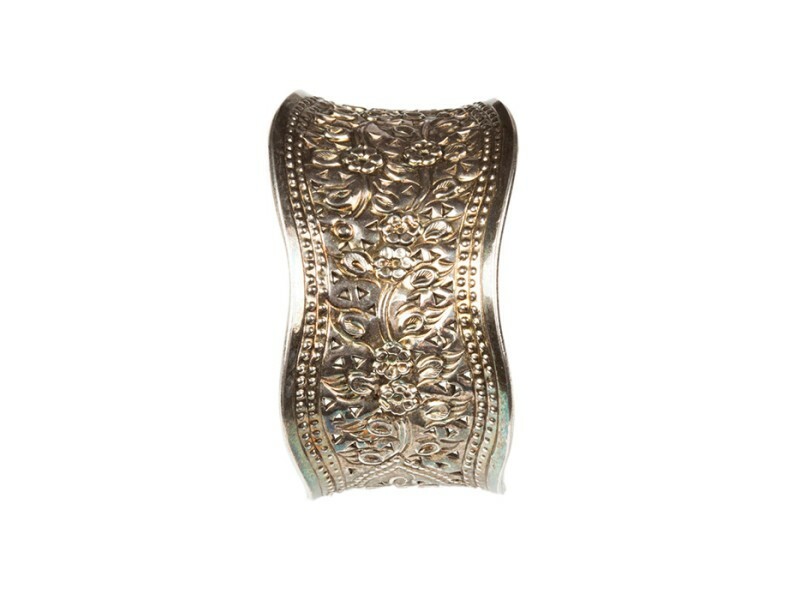 Internally measures 2 ½” by 2"
Marked, "925" for sterling silver and was also acid tested. 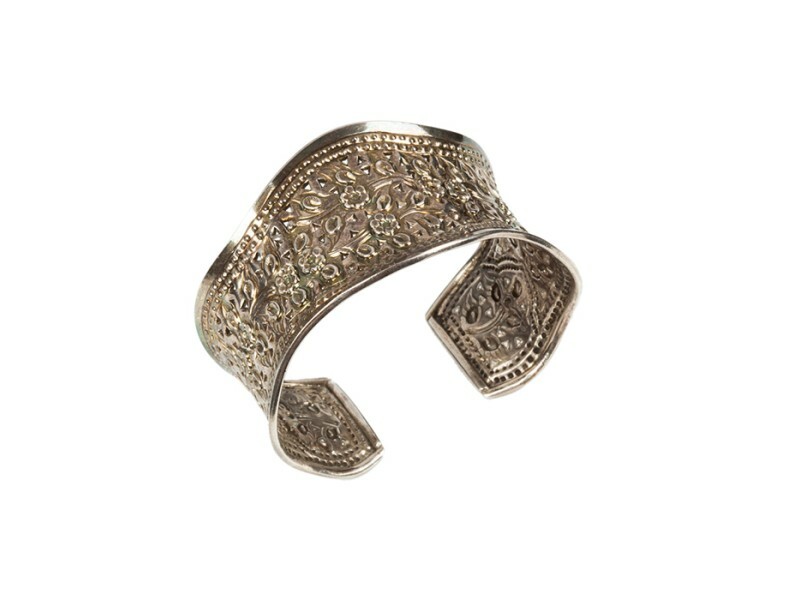 Very stylish, beautiful artwork, and a perfect addition to a range of different outfits.